Ha Ha. ECB want crisis talks with Surrey…. Richard Thompson , the Surrey chairman, resigned from the ECB board criticising Graves’s management style and Richard Gould, the club’s chief executive, described some of the public reaction to the Hundred as ‘mirthful’. Graves responded on Monday. He said: “We chose eight venues that we thought were right for the new competition. We offered them (Surrey) the opportunity to be one of those venues. If they don’t want to be that venue then all they have to do is tell us. I have got three venues who are desperate to have it. We are not forcing anybody to have it. If they don’t want it, fine. But if they do want it, they have to be 100 percent committed. People who make those sort of comments need to make sure they are totally on board. If they are not on board then fine we will go somewhere else. Graves. Don’t say we didn’t warn you. Meet the new boss, same as the old boss. What a wonderful article on governance and the joys of championship cricket. 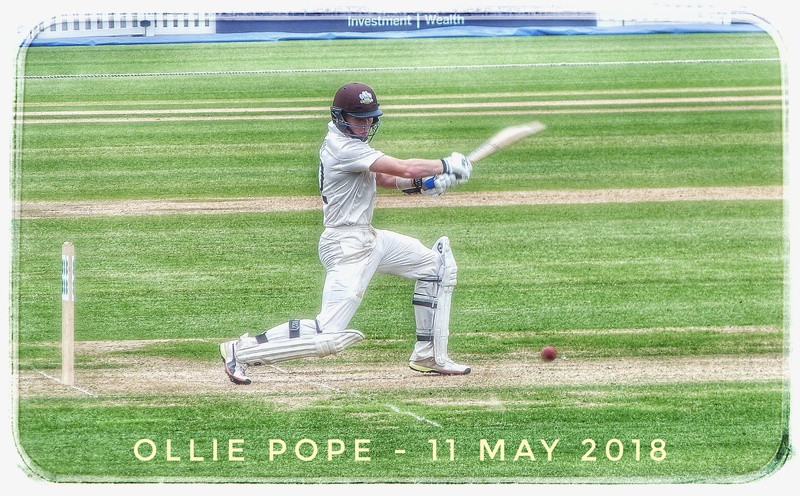 I didn’t manage to get to the Oval, and missed Ollie Pope, but I saw quite a lot of the match on YouTube. Thrilling stuff. Watching Sam Curran knock out Pujara’s middle stump was magic. So now we have a Test team with Buttler at number seven instead of Vince at first-time. What a joke. And there is Graves threatening Surrey with loss of their part of the absurd 100. They should call his bluff – they can sell out their T20 and he cannot take it away. Even Graves wouldn’t try to take away the Oval’s Test, other than by stopping Tests altogether. First-time equals first-drop with autocorrect. Just like the Statue of Liberty at the end of Planet of the Apes?! Damn you D, I too was at the Oval on Friday evening and I too enjoyed watching Pope and Clark take the Yorkies to the cleaners. Shame our paths didn’t cross. Pope really looks some player indeed. Don’t know really what more I can say about this latest piece of rampant idiocy from the ECB. More than anything we are just going over old ground. I just enjoyed watching the fare on show last week, not worrying about anything than the game in front of me and giving a running phone commentary to a mate of mine. We are covering old ground. But at least it’s not with teeth itching bantz and instead from the heart (and the head). 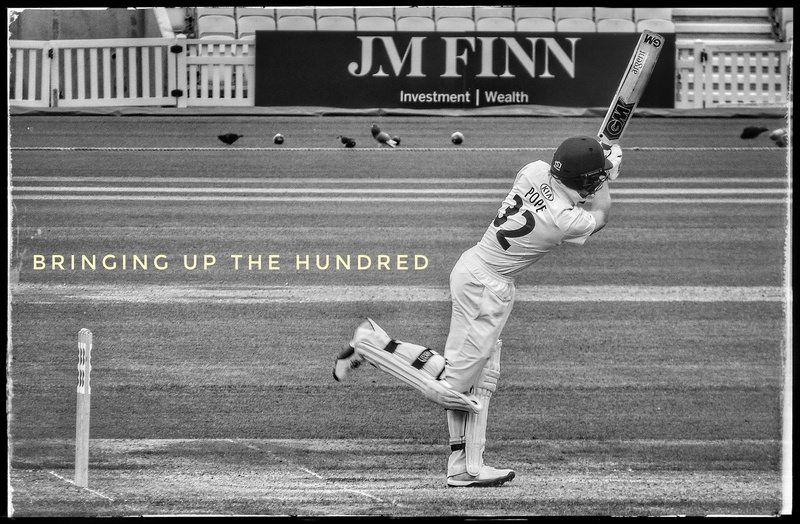 Seeing a knock like Ollie’s lifts the spirit. As Sean pointed out …..if he got 41-0 why was he hinting at a an insurrection or possible take over of the board? Funny as hell seeing the media finally turn and bite the hand that has been feeding them. Well, most of them, the old stalwarts will never rebel. I honestly think that if Graves was to go out onto the picnic area at Lords with a machine gun and started gunning down random people, are hero would come to his defence, and come up with a reason why he had a point. I haven’t seen what 39 has had to say on the farce, Or as I now call him Arthur Dallly as he seems more interested in flogging cars. It seems the ECB Mafia are determined to have a franchise model with only 8 teams. This to me is what is set in stone, they desperately want this model above the 18 counties. What is vital is it is a franchise , and apart from that they don’t give a dam what it is? Egg and spoon? Pancake tossing? Guess the weight of the fat man? It doesn’t matter. All that is important is that it’s a franchise model, and it’s controlled by them. It’s now clear that the people running English cricket don’t actually like cricket. Or if they do, they will sell it out to the devil for six pieces of silver. I will always call it 16.4 not 100 balls. And I will not watch any of it. It’s not cricket, it might as well be curling on ice. I’ve just landed in Miami…last time I was here was when KP scored his 355* (next highest scorer? Sanga 36!). How little has changed in that time. Breaking news: Mike Selvey has finally been canonised and will henceforth be known as Saint Squealer of Minitrue. Oceania wants a shorter tournament than Eastasia. Oceania always wanted a shorter tournament than Eastasia. 120 balls good, 100 balls better! Deliberately. To convey the multi-faceted nature of the job he’s been doing for the ECB over the last six years plus. I really was taken aback by Michael Vaughn’s comment that there was only one under 19 playing in the County Championship. Amar Virdi has been playing exceptionally well. I am not sure why he wasn’t called on. They have gone for Michael Wood but his track record in Tests is terrible and he did badly in the IPL too. Really not sure what to make of the team selection. He took one look at our U19 team at the world cup and said only one was playing. That was probably true. But it wasn’t the whole picture and he couldn’t be arsed to find out. If this was your first comment, welcome. Hope you return! Even if Vaughan was talking about the U19 World Cup squads, so what? For a start, India won the competition whilst England came 7th so perhaps India’s youngsters are better than England’s. Also, since the World Cup was in the 50 overs format, why would we naturally assume that the players would have the game, temperament or physical ability to handle the Championship yet? It’s much easier for them to handle a T20 competition like the IPL, I would think. For bowlers in particular, I’d think most teams would want to limit the number of overs for an under-19 bowler. That’s not always possible in county cricket. Lastly, judging by the experience of the England Lions and Pace Programme, I assume around half of the England under-19 team are injured right now. Very good to hear from you. Quiet followers always appreciated by me and the crew. Autocorrect is the spawn of Satan. So have a pop at our development selectors when lots of teams are bringing in talented younger players. Like they’ve always done. I saw the video in which he mentioned it. The host of Cricbuzz Gaurav Kapoor keeps reminding people that the videos are online. I will go and watch that segment again. I never got the impression that they were talking about U19 WC players. On the Buttler selection. There’s something about it that smacks of trying to be clever. You have the Hales/Rashid situation deciding to go white ball cricket due partly to rejection by the test selectors, so let’s select our best white ball player so that others won’t go the same route. I think it was more a case of just desperately looking around and searching for someone, anyone who was scoring some runs in a so called high value tournament. The idea he will bat behind Bairstow while Bairstow keeps the WK gloves seems bizarre to me. If you are going to bring him back as WK and play Bairstow as just a batsman in the top 5 that would have more credibility. The media are fawning over Smiths press conference, and saying he spoke well. Vic Marks (who is one of the more sensible people left in the media) was gushing. I’m sure it has absolutely no connection with the fact he sat in the commentary box with him for the last four years. The media will give Smith a pass because he is one of their own. Which is probably why Strauss interviewed journalists like Smith, Selvey for the job in the first place. Look out for Ollie Holt to become England football manager if things go wrong in the WC. Maybe it was desparation Mark. There is a certain logic to some of the reshuffled batting line up with Root at 3. Although on those lines Hales for Stoneman would also make sense. Love to know what Alex Hales makes of it. They have turned round over the last 6 years. For what it’s worth – some comments in defence of Smith (coming from someone who was sceptical of his appointment, for reasons I know many of you agree with). Firstly, he gave some good interviews yesterday (as expected given his media work). Whether or not you agree with his selections, he did articulate his thinking. His predecessor struggled with that – and was frequently mocked on these pages because of it! Secondly, I’m glad he has made a decision on Vince. He doesn’t score enough runs and it would have been a cop-out to say his half-century against NZ or his double century this week made him undroppable. What Smith said in his interviews yesterday was that this was the case historically, not just for England. Thirdly, he’s only been in the role a few weeks. He needs to choose the other selector (Fraser and Newell are still performing their old roles) and the scouts, as well as implement whatever processes he outlined to Strauss at interview. As much as anyone, I’m concerned about our top 3 and our quick bowling outside of JA/SB. But the solutions aren’t obvious and there’s clearly more to selection than seeing who scored the most runs or took the most wickets last week. Smith could have picked Gubbins over Stoneman, but what has Gubbins done that Stoneman (and Robson, Lyth, Hales, Jennings, Duckett, Hameed etc) not done before? Why would he be the solution when those before him weren’t? So I think Smith needs a bit of time to work that problem out and to work out what he thinks of the contenders. That means Stoneman gets a stay of execution – but he is fortunate. 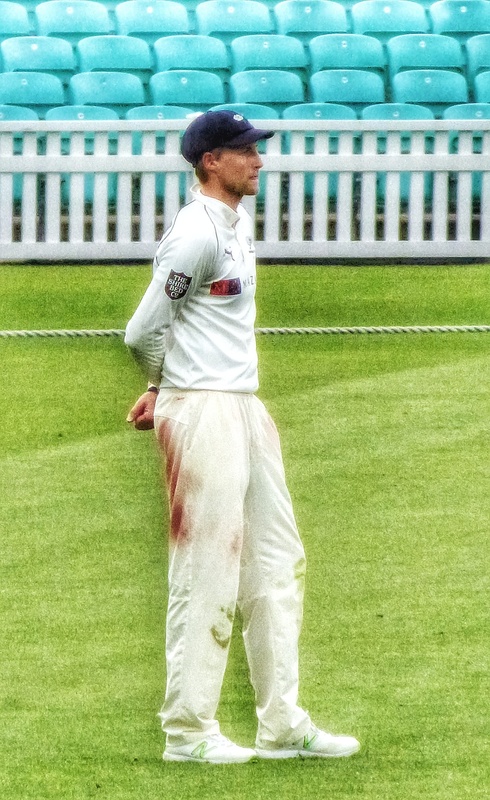 Had Strauss appointment someone more engrossed in the county game (which I would have liked to have seen – though it may be that Smith sees more than he lets on) then Stoneman may well have been replaced. So I’m not going to give Smith hell for not addressing those question marks. At least not yet! He’s got to get moving quickly. And just a quick comment against… I saw Newman describe the squad as “bold”, “refreshing”, “imaginative”… I wouldn’t say that. Buttler has been picked before, including (briefly) as a specialist #7 and regularly has fans and pundits alike putting his name forward. And we’re not blessed with a huge number of spinners (though there’s a set of young spinners breaking through which is encouraging) so Bess was hardly a left-field pick once Leach was injured. Not sure there’s anything inherently wrong with the squad selected – these things are always judgement calls after all, and the success of those decisions is determined by the outcome. There’s no reason to assume the side is wrong at this stage. The problem is the way it was all trumpeted in advance as being a move to data analytic selection, when the choice of Buttler is a gut feel punt instead given his complete lack of red ball cricket. Once again, there’s absolutely nothing wrong with that at all – Vaughan and Trescothick were similar selections when the stats didn’t back them up, and they did alright. Smith did speak about how his belief in the efficacy of stats doesn’t mean he won’t make cricketing judgements, and that’s fair too, but as ever it’s less about what they do and more about how they frame it in advance, and then pretend none of it ever happened. Selvey and Hughes’ leaking (oh the irony) of the kind of data based thinking subsequent to the interviews was highlighted repeatedly as being the way the ECB wanted to go, and then with the first squad, we get a perception call instead. It’s not that it’s wrong at all, it might work very well. It’s the assumption that everyone else is too stupid to note what they’ve said before and to point out the contradictions. Bold, refreshing, imaginative? Only one dropped from the last test in NZ. The fish rots from the head! It’s possible that one of the squad could be serving time, one is physically crocked… Asking Wood to play is like dragging favours from someone in a wheelchair, surely. For me the dubious calls are Buttler and Wood. Wood simply does not have the pace he had in the past. And because of that his returns are extremely likely to be mediocre. Not sure who else to pick though. I am not following County Cricket that much, but is there not someone who can bowl a nagging line and length in the low 80s? I am not asking for Philander, but surely there must be someone who can do that job for England? Especially given the conditions that Pakistan are likely to face, that might have been the better bet. Also, that would help a bit with succession planning, since Jimmy Anderson’s career is almost over. As for Buttler, he has hardly played red ball cricket, and to pick him as a specialist batsman at 7 seems like a luxury England cannot afford, especially since Moeen is not batting (which is completely justified, but Woakes / Broad / Anderson / Bess, is hardly better than any of the other tails going around in say India, South Africa, Australia or New Zealand). Thus what once was a major strength for England, may soon develop in a relative weakness. Bear in mind that for all the successes in white ball cricket England have enjoyed, they have come on pretty flat wickets. So if there is a bit of spice in the wicket, or overhead conditions are not favouring batting, there will be question marks about white ball specialists. So to pick a guy with questions about his red ball game, seems a bit of a gamble, especially with huge question marks surrounding the top 3. And unless the wicket is placid, I think the Pakistanis will have the skill set to deal with an aggressive #7. I personally would be in favour of batting Cook at 3, and then have Root, Bairstow, Stokes and Foakes in the middle order. That might be rough on Malan, but Of course that would mean finding 2 openers, but I suspect part of the problem for England has been that openers struggle to bat with Cook (of the dozen failed opening pairs England have tried since Cook retired, Cook has been the common denominator). But honestly, if you’re going to open with Cook, I really don’t see how Buttler’s game as a specialist batsman will add more (net) runs to the team than Foakes as a wicketkeeper (thus saving runs in the field, while also letting Bairstow rest properly. Many good points. I would like to add that we can never succession plan, because Broad and Anderson won’t be rested. They like the stats padding offered by the ‘lesser’ sides. You can’t really blame them, considering the high value placed on these big milestones. And in Anderson’s defence, he is super fit and never looks to be managing injuries. Broad on the other hand could do with more rests, particular mid series. But good luck with that. Not suggesting in any way that Pakistan will be a pushover, but I find it very unlikely that either opener will miss the opportunity a bowl in May. That is why we won’t see Woakes with the new ball, and a 3rd seamer who is actually suited to being a 3rd seamer rather than a swing bowler forced to use the older ball.